Met Police Assistant Commissioner, Mark Rowley, says six people died in the attack on London Bridge and Borough Market. Armed police shot three male suspects. 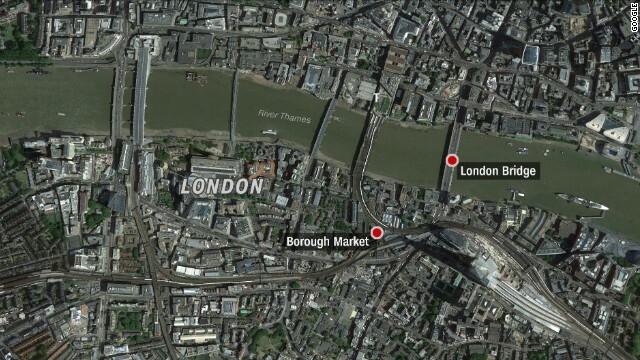 The vehicle that ran into people on London Bridge, CNN reports, continued to drive towards Borough Market where three attackers got out and attempted to stab people, including a police officer. Armed police were called to the scene and within eight minutes, the three attackers were shot dead. Rowley said the attackers were wearing fake explosives.